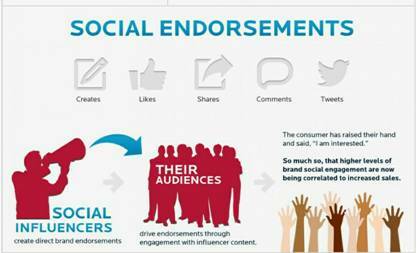 Sagarika Khanna sheds light on influencer marketing with relevant examples and a 4 point guide. When you were toddling around at the tender age of 12 months, Princess Charlotte became a fashion sensation within minutes of her first public debut. The e-commerce site, my 1st years.com reveals that it saw a spike of 67% in its traffic after the royal tot was photographed wearing one of the brand’s outfits. Every mother across the globe wants her child to be dressed in the same adorable outfits as the little princess. Like her mum, Kate Middleton, the young royal has cemented her skill of causing items to sell out and sales to skyrocket. On Twitter, Kylie Jenner declared that she would not use Snapchat. A single tweet from this member of the Kardashian clan created a ripple effect throughout her 24.8 million followers. It knocked 1.6 billion dollars off the stock market value of Snapchat. Similar scenarios play out across all of the social media channels everyday and these situations influence purchase decisions of millions of buyers. The influencer is an individual with an online presence who has the potential to influence the opinions and behaviours of your target audience. The influencers have built a social media following by producing quality content consistently. They are relatable and their opinions are widely accepted. That is why the brands turn to them to broadcast messages about their products. Marketers have been trying to increase their publishing volume. But they end up bombarding their followers with a lot of extra content. Influencer marketing is a way for these brands to beat the problems of social media clutter. In this guide, I’ll tell you how you can you make your brand a powerhouse with influencer marketing. 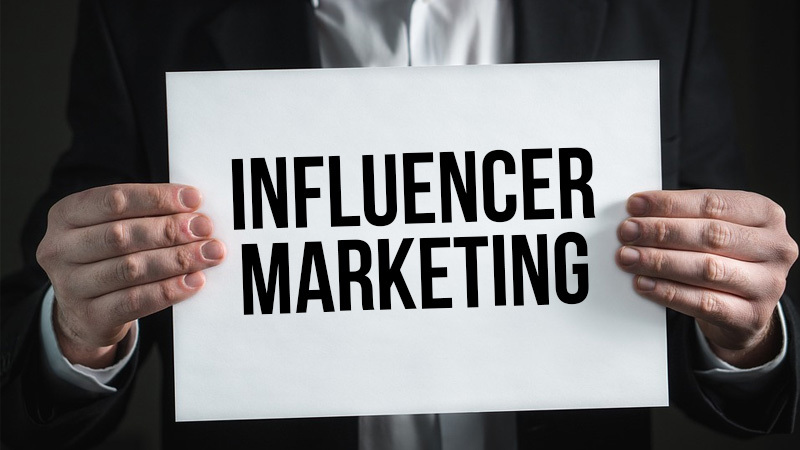 A study reveals that 94% of the marketers consider working with influencers a success while 78% are still working to quantify that success. A marketer has to be data driven in order to market his brand. He has to be able to quantify the data. In this age of social media analytics, whilit’s easy to quantify the influencers. But fake social media followings have become too common these days. One must exercise caution e selecting the influencers that one wants to work with. Influencer marketing is the fastest growing channel for consumer acquisition. As per a study, businesses make 6.5 dollars for every dollar invested in influencer marketing on an average.Brands rely on macro or micro influencers to promote them as per their budget and strategy. Adults spend 22% of their time on social media.With the advent of technology, everybody can document their experiences online. The average person is the new celebrity. Brands use the everyday consumer as their influencers to drive sales. For its #Originals campaign, Adidas Originals partnered with influencers and celebrities to create a series of videos highlighting the contributions of each. The campaign is a good example of the value of using a lot of different influencers to reach the widest audience possible. There are a lot of fish in the sea. It is up to you to find the right influencers to market your brand. You know your brand better than any anyone. It is up to you go to the right place to find the right influencers that would help you marketing your brand. 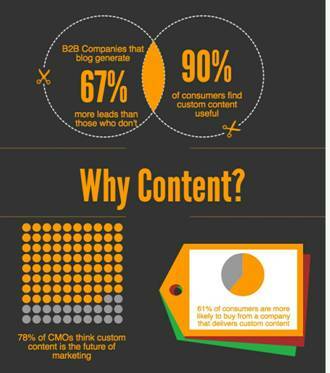 B2B brands would prefer LinkedIn to drive their content. Brands could leverage Instagram and Snapchat to drive their visual content. Brands can also approach bloggers and vloggersfor product outreach. 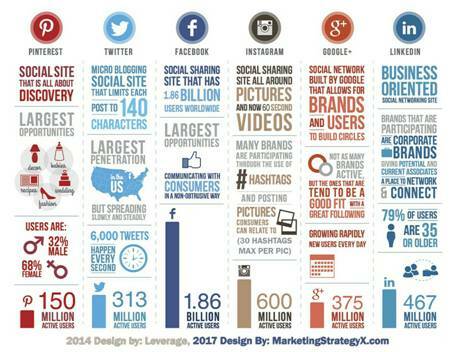 This picture above gives an overview of the popular social media platforms in existence today. An influencer’s reach could be different across different channels. 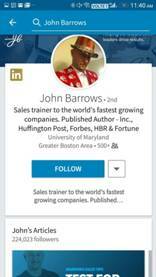 Let’s take the example of the leading sales influencer and Forbes columnist, John Barrows. Take a look at his LinkedIn and Twitter following. He has over 224,027 followers on LinkedIn. His Twitter outreach is limited to 7000 followers only. As a result of this, his tweets get less engagement as compared to his LinkedIn updates. A brand dealing in B2B sales would benefit more by approaching him to endorse it on LinkedIn rather than on Twitter. A brand is responsible for making sure that the right channel is selected. It is also important to ascertain the cost of the channels that you want to use for promotion of your brand. 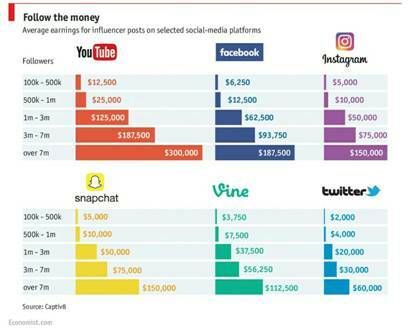 This picture gives an insight into the influencer earnings across the different platforms. To get the best results, you can diversify the spending across various channels. It is always good to have a renowned influencer backing your brand. Consumers trust third party reviews. 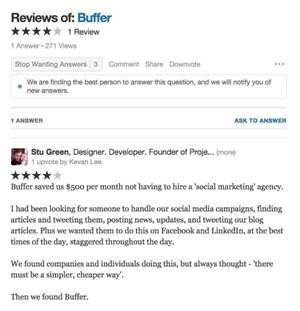 This review of Buffer on Quora would certainly encourage other marketers to use the tool instead of approaching a social media marketing agency. YouTube is another excellent platform to leverage user generated content. Brands collaborate with famous YouTubers to promote their content. Estee Lauder and Target have partnered with one of the top fashion influencers on YouTube, Chriselle Lim.She transforms simple pieces of apparel into stylish ensembles. Her wide reach helps the fashion brands reach their target audience. This form of video advertising will work in the favour of the fashion brands as 80% of the consumers tend to retain any relatable video ads that they see online in the past month. Now that we know where we can find the influencers, it is time to reach out to team. Influencers are not elusive as you may have thought. They are present all of the social media platforms. It is up to you find that perfect influencer to market your brand. For instance, a food truck in Brooklyn, New York wants to extend its brand reach. 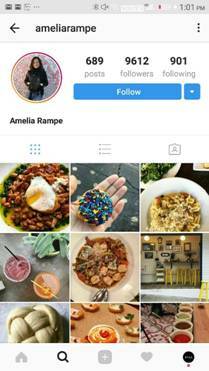 It can reach out to Instagram influencer, Amelia Rampe who is also based in Brooklyn. This influencer will be more receptive to the food truck‘s pitch as she is a micro influencer with 9000 plus followers. Markerly, a network that connects brands with influencers, recently found that partnering with “micro-influencers” can provide much better ROI than trying to snag a big celebrity. Their analysis of 800,000 Instagram users found that the influencers with 10,000 to 100,000 followers offer the best combination of resonance and reach. Due to this fact, the food truck is at an advantage. They could capture her attention by offering her a free food sample. A review about the food truck could generate a lot of buzz for the brand. Keyword research makes it easier for marketers to find the perfect influencers to market your brand.But it also makes you realize a very important thing. The influencers are like your competitors. They are searching for the very same keywords that you are to generate traffic for their blogs. If you choose the right keyword research tool, you can find the best influencer and come out on the top. I prefer to use BuzzSumo. It has a very easy to use interface and provides you with a comprehensive list of influencers in your niche. Influencers build their social media followings over a long period of time by producing quality content. You can produce quality content too and capture their attention! This can help you generate a lot of back links and result in a surge of traffic. For example, a social media marketing agency can come of out of obscurity by tweeting an article on Twitter marketing strategies to Laura Fitton, the Twitter expert. 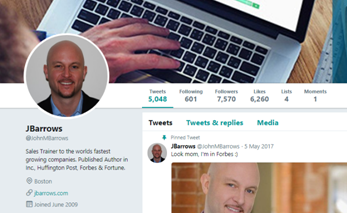 A retweet from this influencer can help the social media agency skyrocket to fame. You can study social media trends using tools like Hootsuite and single out influencers that cater to your niche. Many social media tools offer you curated lists of influencers for different categories. They provide you with all the information that you need to determine the social media reach of your influencer candidates. The higher the reach of the chosen influencer the more will be website traffic that you will generate. After preparing a list of your influencers, it is time to reach out to them. You have to understand what kind of partnerships that may be interested in. You can entice the influential bloggers, vloggers and social media influencers with samples of your product or give them an opportunity to become a guest blogger. A very innovative of influencer marketing is to host Ask Me Anything sessions.By getting an influencer to dedicate a portion of his time to answer questions on social media platforms using the brand’s social media handle can significantly increase the brand awareness. 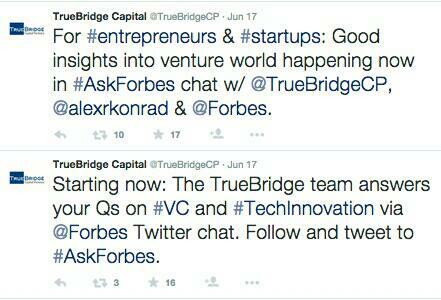 An example of an engaging Ask Me Anything session on Twitter is the collaboration between True Bridge Capital and Forbes. The topic of discussion was what it takes to be a venture capitalist which was relevant and interesting to both of their audiences. As a marketer, it is up to you to create authentic relationships with the people who matter to your business. These people are the ones who influence your customers and shape your industry. Your job is to find the most important people for your brand, whether they’re among your prospects, current customers, industry experts or passionate individuals. The support of passionate influencers can do wonders for your firm’s brand image. Sagarika Khanna is marketing management executive at Salesdoor and a student of NM College. She is a marketing enthusiast and a published author. 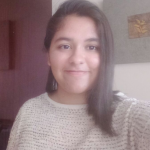 She is a also an avid graphic designer and a martial artist.